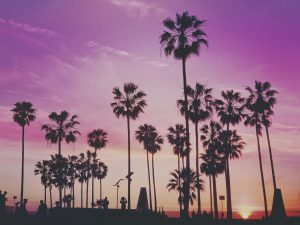 More than 45 million tourists visited Los Angeles is 2016 – most likely choosing this sunny southern California location for its year-round fantastic weather, its easy-breezy, beachy lifestyle and, of course, for a chance encounter with a bonafide Hollywood star! 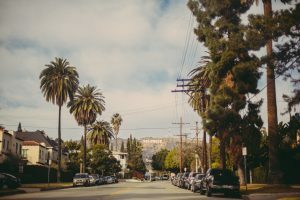 If you’re planning a Los Angeles getaway and are looking to take in the glitz and glamour of Hollywood, read on…. 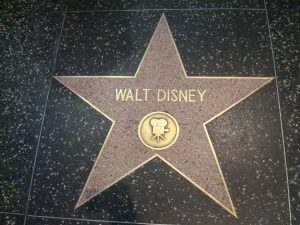 To start your star experience in LA, you may want to consider a tour of The Hollywood Museum. Billed as the official museum of Hollywood, the museum has more than 10,000 authentic pieces of movie memorabilia. Once you’ve had your history lesson, hop on a tour bus and let the guides take you around Tinsel Town to see the sights. Starline Tours has been in operation since 1935 and their standard tours will take you to city highlights as well as a tour past homes of the stars. Starline’s four hour tour will take you through Beverly Hills, Rodeo Drive, the Original Farmer’s Market and also as close as you can get to the famous Hollywood sign without hiking a trail to it. 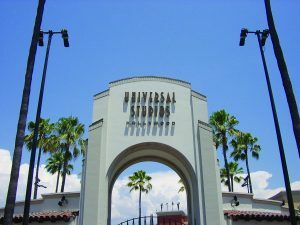 Another interesting way to learn all about Hollywood is to take one, or all, of the studio tours offered which include tours of Paramount Studios, Universal, Sony and Warner Bros. The Warner Bros. tour, which is approximately 2 ½ hours, will take you through backlots and soundstages where some of Hollywood most popular movies and television shows were made including the 1944 Academy Award Best Picture Winner Casablanca and the popular television series Friends. Current shows filming on the Warner Bros. lot include The Ellen DeGeneres Show, Mom and The Ranch so keep your eyes peeled because you never know who you might see. Comic book junkies will appreciate DC Universe: The Exhibit which features the heroes and villains of the DC comic books. Also for a limited time, Batmobiles from a number of the Batman films are on display. Lastly, Harry Potter fans will be excited to see costumes and props from the film Fantastic Beasts and Where to Find Them. Paramount Studios offers three different tours, The Studio Tour, The VIP Tour and The After Dark Tour. Each offers something a bit different but all will provide you with a solid history of the 100 plus-year-old studio, which is the only remaining major studio from the golden days of Hollywood. Sony offers a two hour walking tour of sound stages and sets as well as a history of the production company which was formed in 1982. Fans of Breaking Bad can see Walter White’s RV! The names of more than 2000 Hollywood celebs line the Hollywood Walk of Fame which covers more than a mile of Hollywood Boulevard. The names of those honorees are marked with a star embedded in the walkway. Each year about 24 new honorees are inducted and the ceremonies are open to the public. The Grove, which is an upscale shopping and dining area that also includes the famous Original Farmer’s Market, is one place to star search. In addition to actual scheduled celebrity events, stars have been known to dine at the restaurants and do a bit of shopping here. It’s located next to CBS Studios so your odds of a star sighting are greatly increased! The Brentwood Country Mart is another opportunity to possibly see the rich and famous doing normal things like grabbing a cup of coffee or a quick sandwich. The Country Mart is home to shops and restaurants and thanks to its Brentwood location, which is an area in which many stars make their home. On the beaches of Malibu you may have a star sighting as many of them have homes here. As early as the late 1920s, Hollywood’s movie stars like Gloria Swanson and Barbara Stanwyck were heading to the Malibu Colony for a respite from the bright lights and grueling studio schedules. Nowadays many stars make their home here (typically second homes!). Tom Hanks, Jack Nicholson, Jennifer Aniston and Goldie Hawn and Kurt Russell have homes in Malibu while it is said Leonardo DiCaprio and Sting are among the renters. 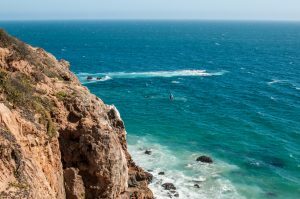 Most likely you won’t be able to build sandcastles right next to your favorite star but you can walk the public beaches in Malibu. Another Malibu option for seeing stars in the Malibu Country Mart – like the Brentwood Country Mart, the Malibu Country Mart has upscale shops, eateries and quaint places to grab a cup of coffee. Two restaurants of note in Malibu that may provide you a star experience are Nobu Malibu and Duke’s. Both offer fabulous ocean views and amazing seafood experiences. 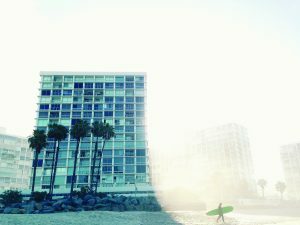 According to Curbed Los Angeles, there are 11 areas where you can see stars getting their daily exercise, walking their dogs or playing with their kids. Those include Runyon Canyon, Bronson Canyon Park, Coldwater Canyon Park and Mandeville Canyon Fire Road. Runyon Canyon is a 160-acre, dog friendly-park that is frequented by Jake Gyllenhaal, Justin Timberlake and Jessica Biel and is open from dawn to dusk. It has great hiking trails and views of LA. Bronson Canyon is actually part of Griffith Park and, because it was once an operational quarry, has several caves. You may recognize one of the cave openings as it served as the shot that was the entrance to the Batcave in the poplar 1960s Batman television series. Many television shows used Bronson Canyon for location shots including The Lone Ranger, Gunsmoke and Rawhide. 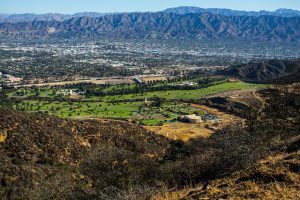 The five-mile loop in Mandeville Canyon holds a piece of Cold War history that now offers panoramic views for hikers. The area was one of several summits around Los Angeles used as a Nike missile defense site in the 1950s to detect and intersect Russian missiles. Jennifer Garner, Fergie and Josh Duhamel have been spotted hiking in this area. 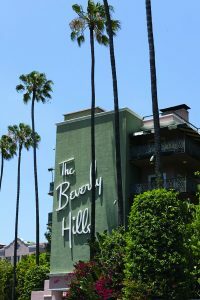 For the gussied up type of glamour, consider other locales that may provide star sightings including the Beverly Hills Hotel, also known as the Pink Palace, or The Chateau Marmont. The history of the Beverly Hills Hotel goes a long way back. Located on Sunset Boulevard, the hotel has been ready for its close up since it came into existence in the mid-1900s. The list of hotel guests reads like a Who’s Who of Hollywood History and includes Fred Astaire, Elizabeth Taylor, John Wayne, and Grace Kelly. Music fans will recognize the exterior shot of the hotel that graces The Eagles Hotel California album. The Chateau Marmont Hotel (which was originally an apartment house) was designed not only to look like a retreat in France’s Loire Valley but also to survive earthquakes, which it has done through at least five such major events while sustaining no damage. Many movies have been shot here including the most recent Academy Award Best Picture nominee, La La Land. Both the restaurant and bar are open to the public so you can enjoy this historic hotel without being a hotel guest. As the oldest continually operating hotel in Los Angeles, the Hollywood Roosevelt Hotel has many a story to tell. The first Academy Awards were hosted here in 1929 ; the hotel bar is where Marilyn Monroe met Arthur Miller; and Clark Gable and Carole Lombard stayed here, renting rooms for just $5. Conveniently, if you’re doing the Walk of Fame or visiting Grauman’s Chinese Theatre, the hotel is just steps away. For a nostalgic dining experience (and possible star encounter) try Musso and Frank Grill, the oldest restaurant in Hollywood. Opened in 1919, it has served everyone from Humphrey Bogart to The Rolling Stones. Famous for its martinis and traditional American fare, a dining event at Musso and Frank could include a sighting or two. Reservations are strongly recommended. Other Hollywood notable events would include a concert at the Hollywood Bowl, an outdoor amphitheater that gets its name from the concave hillside in which the site is carved. The Hollywood Bowl is the summer home of the Los Angeles Philharmonic and has also featured some major concert events including The Beatles, The Grateful Dead, Lady Gaga.and Pentatonix. Multiple purchases from the shops on Rodeo Drive may be out of the budget for most ordinary people, but this area is worth the trip (you might spot a star or two here.) There are over 100 shops and boutiques. 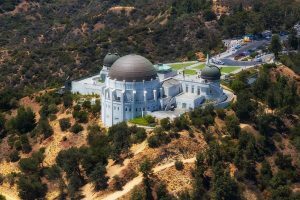 Movie buffs know it as the backdrop to the iconic James Dean film, Rebel Without a Cause but to the astronomy enthusiasts, the Griffith Observatory is as a leader in public astronomy. 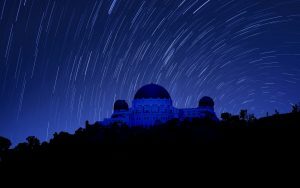 According to the Observatory’s website more than 7 million people have looked through the Observatory’s original Zeiss 12-inch refracting telescope since the Observatory opened. The Observatory has several levels of exhibits and daily programs in both the Samuel Oschin Planetarium and the Leonard Nimoy Event Horizon Theater. The free public telescopes are available each evening and telescope demonstrators are on hand to assist. Best of all, admission is free but there is a small fee for the planetarium shows.